Of the many benefits offered by offshore accounts, one stands out above the rest. Offshore bank accounts in Belize guarantee greater financial privacy than domestic banks. International investors of any net worth can open an offshore account in Belize and enjoy the best in private asset protection. Accounts are affordable and guard assets against erroneous litigation, legal activity by creditors, and divorce. Investors looking to maintain their privacy need to look no further than an international account in Belize. With so much uncertainty in the American economy, many high net worth individuals are looking into offshore accounts for asset protection. An offshore limited liability corporation (LLC) is simply a corporation created in a jurisdiction other than the owner’s home country. As experts in creating lucrative offshore accounts for Americans, we get questions every day from potential investors looking for new solutions in asset protection. To achieve your goals of long-term savings and asset protection, you can utilize professionally managed international investment funds in the offshore centers. Whether you wish to grow wealth, build retirement income, or protect your assets, Caye International Bank offers the best opportunities for offshore investments. Set on the island of Ambergris Caye, this institution provides a full range of banking services to international investors all over the world. Caye International Bank provides its customers with ease of access to accounts while the Belizean government protects the privacy and security of foreign patrons. No other offshore institution offers more services to consumers around the globe. Even with offshore investing activity, there are still periods in which the market associated with a given country is closed. When this is the case, you can still make arrangements for orders that can be processed as soon as the market opens the next business day. Before choosing to dive into the waters of after hours offshore investing, it pays to educate yourself a little about how the process works and what you should consider before setting up any type of transaction. Why Would I Want to Change My Offshore Bank? One of the things that seasoned offshore investors understand is that nothing is quite as sure as change. An investment that does very well for a period of time can begin to turn sour. Opportunities that seemed unworkable in times past may be very appealing as shifts in the economy of a nation begin to develop. The point is that there is no element of the investment and wealth management process that is not subject to review and change. This includes your selection of an offshore bank. 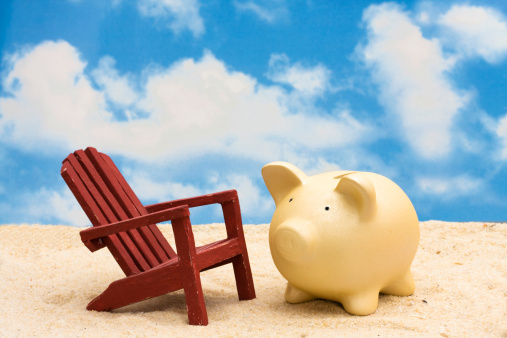 Posted in Offshore Bank | Comments Off on Why Would I Want to Change My Offshore Bank? Tired of tying up your hard-earned assets in domestic funds only to make pennies in profits annually? Savvy investors with a willingness to venture into international banking can build wealth faster than they can through a domestic bank. Offshore investment tools not only minimize an investors tax liability, but they give investors the opportunity to grow a bigger wealth base in a smaller amount of time.